« Thrifting with Pals – A Good idea? Poodle Planter? No, it’s a Pen Pot! If like me, you don’t really shop on the high street and prefer to thrift and find second hand items then you often have to vary the use of what something was intended for in the first place. You gotta get creative! My latest obsession is ceramic animal shaped planters and I just figured out they make amazing pen pots! 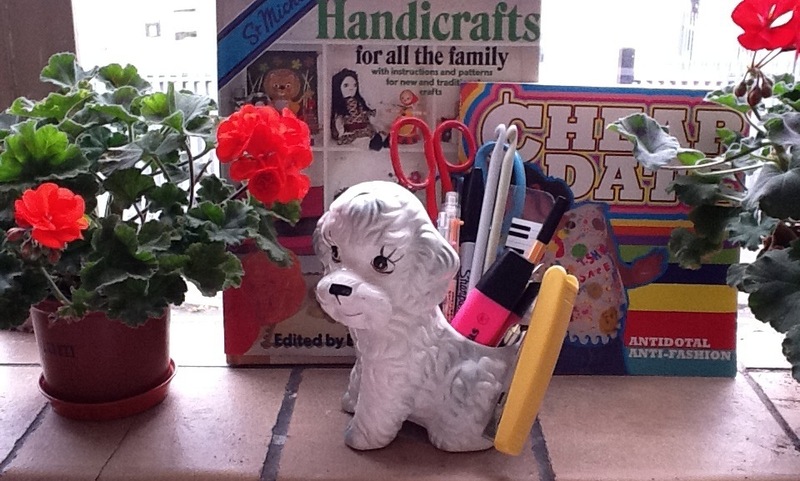 What better thing to have sat next to your computer than a sweet little eager poodle holding all your fave stationery bits ‘n’ bobbins… I have one in the shoppe right now, click here and hope to find many more to house all your stationery needs.